3. 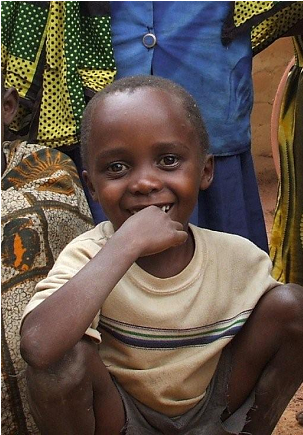 Contact us to sponsor a child at the Muvuma Orphanage, or to sponsor the orphanage itself. 4. Donate on-line, mail cheques to The One Person Project, 10108 Julia Street, Summerland, B.C. V0H 1Z5 or make a payment into our Summerland Credit Union bank account. 5. Shop for Groceries and Change Lives! Purchase Nesters Market (Summerland) shopping Gift Cards from us and at no extra cost to you Nesters will donate 10% to The One Person Project! And you still earn your own Nesters points if you collect them. Or you can ask for points earned to be put on the One Person card they have on the counter. 6. Donate the proceeds from your refundable beverage containers at the Summerland Bottle Depot. Victoria Rd South. Ask for your recycle money to be put into The One Person Project Account before they start ringing it through on the till. Or drop them off in Summerland at 9909 College Rd, Summerland. Just leave them by the drop-off sign. Or contact us for bottle pick up. Our Annual Gala and Summerland New Year's Bash are the talk of the town - for all the right reasons! We also host other fun events throughout the year. 8. Recognize that although you are just one person, you truly can make a difference! You will see photographs & videos and hear reports of your money in action in the media, on-line and at presentations throughout the year. These funds are used on the ground in Kahama. You can specify if you want your donation to go to the Orphanage, the hospital, children and women with HIV/AIDS, schools, or women's cooperatives/small business ventures.